Confession: I can be a bit of a rabbit when I work. Have you ever watched a rabbit run across your yard? It’s not a straight path. I’m not sure it’s their attention span, or maybe it’s self preservation, but what starts out as a simple trip to the other side of the garden can end up 6 yards down, then right back to your cabbage patch, unless there’s something else more interesting on the way. My brain works like that a lot, and I can too, and it can get out of control when I’m not working in a disciplined way. Discipline is key for me. Discipline and prayer are key for me. Discipline and prayer are key for me especially because I’m working at home right now. Multi-tasking was made for people whose brains bounce. So are jobs that require mulitple skills and focus. It took me a long time to realize my gift and then develope my powers for good. The latest in work flow theory though is back to focusing on one task at a time. That’s great for those who need and appreciate DOING one thing at a time. It would drive me crazy. So what if you are like me, with a brain full of rabbit trails? Like a rabbit on a trail, sometimes it takes a physical chore or walkabout to get something else planned or in order, especially if creativity is involved. I use physical tasks for think time, especially things like cleaning or putting things in order, or especially gardening chores like weeding. That’s a great time for me to think things through. But before all that, it’s important to plot out the safe and soft spots of quiet, and the loud and dangerous crevices of the day, or if you can, the week. Brain drains are intense thought process driven tasks, like spreadsheet work, anything financial, or for me, filling in forms! Some creativity driven stuff is also a brain drain, especially if it involves solving a design problem, sticking to a budget, and a timeline! Brain drains need to be done in quiet, with focus time allowed, when I can reasonably assume interruptions will be low. Having some fill-in stuff to do just in case I hit a wall is also part of my planning. Lately, these kinds of tasks have included going through storage boxes to inventory craft supplies, or something like ironing shirts. I could never spend an entire afternoon ironing, but as a filler chore it works great. I plan my week on Sunday afternoon. This involves doing laundry if I haven’t done it already and a sit at the computer with my calendar. 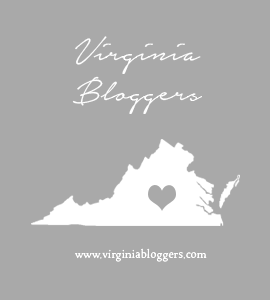 As much as I can I factor in my husband’s schedule, and any outside appointments or contacts that need to be managed, like professional appointments, interviews, or meetings. Once I have those things in place the next thing I plan are meals and a check of the pantry to assess which day I will need to do grocery shopping, and run errands. As a self-employed subcontrator, I’m usually dealing with different time zones, usually not my own, so my first hour of every day is spent getting myself setup for the day. This is when I clean my Inbox, answer and send e-mail, connect with my social media, etc. Recently, I started using a webcam for some meeting participation so I no longer work in pajamas with a bed head. Most experts always have recommended getting dressed for work at home, and it really does work. Something clicks when I’m up and dressed for the day. I tend to think more consciously about the time, especially if I’m working by the hour. I write reports at the end of my designated work time but don’t usually send them until the next day. I’ve found that reports are more welcome at the beginning of the day with the folks I’m working for. Part of the beauty of having a rabbit trail work ability is that it just is easier to jump between issues and projects, and crisis. I’m not easily rattled, and logic is still my solid course in assessing a given chaotic situation. People know they can call me for a breath of calm and to gather order back. 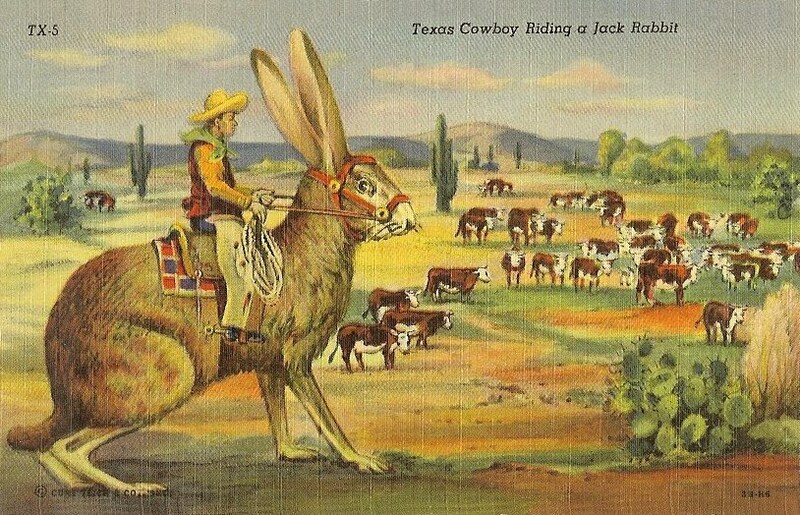 Or, if the situation calls for it, ride a bucking rabbit, no problem! Rabbit rabbit rabbit September 1, 2010! Vintage postcard image above. Also a note about Rabbit X 3, which is just a memory game to play, remembering to say rabbit rabbit rabbit on the first day of the month to the first person you see. We learned this when we lived in Milwaukee and have done it ever since…for just a little silly fun.